Hello. New member, doing first brew. Picked up a kit in crown point and brewed it up with the lady. I'm going to try to make it to the meeting tomorrow. I'm looking forward to getting some tips from the more experienced members. What is to be expected at a meeting? Like I said, I'm going to try to make it out there tomorrow, but if I don't I will shoot for the march meeting. By then we should have some roasted porter ( brewers best kit) ready. For sampling/critique. Hope this forum/site is still active. At this point, there is no cost to join the club. We've been asking for a few dollars donation each month to help cover costs. I think it's 3 or 4 dollars a person. Generally the meetings start out with news of upcoming homebrew contests, tastings and events that might be of interest. There is usually some sort of a demo given by one or more of the members, and then after a short break, there is usually time to share whatever brews people have brought from home. It's a good chance to share what you've brewed, and like you mentioned, get a bit of feedback or a tip or two to improve your skills. 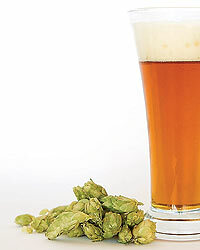 We occasionally have a club competition for a specific style in conjunction with the American Homebrewers Association. I think there's one of those tonight. This is still our official forum, but as you can see, it's not very busy. I generally check for new stuff here every couple of days. Hope to see you tonight, but if not, feel free to contact us here.